It is common practice for religious institutions to defer maintenance in favor of providing social services. Aiding this decision is the fact that many religious facilities do not have anyone on staff to handle property management. In addition, most have little support from outside experts and minimal or no budget to make critical repairs. As religious sanctuaries age and decline, however, it is more important now than ever to devise a plan for upkeep to minimize risk to congregations and communities. A good place to begin is by assessing property damage at the surface. 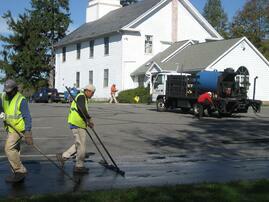 Fixasphalt.com has been helping religious institutions maintain their parking lots for over 20 years. 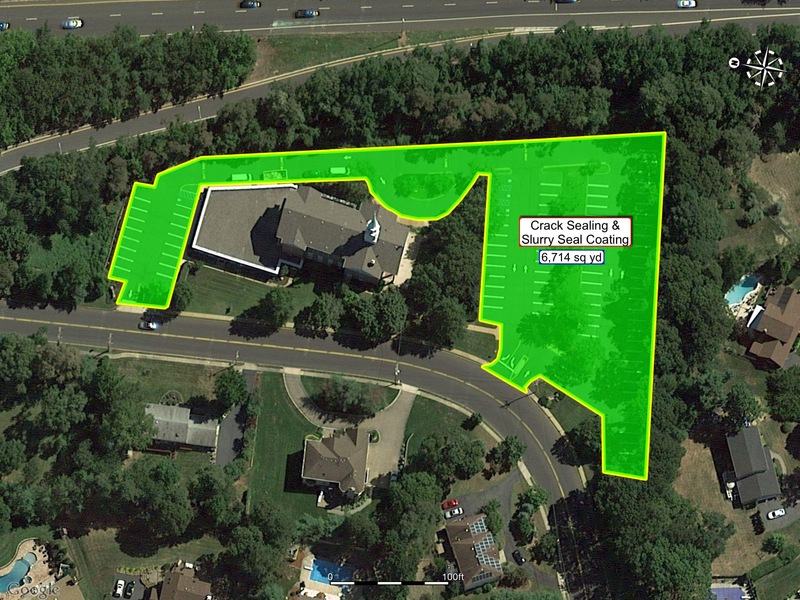 Our parking lot management solutions help facilities managers identify defects and create a plan for routine maintenance that maximizes time and money. Religious institutions are extremely busy facilities. Not only do they nourish souls, but most provide community services throughout the week as well. With such continuous use, it is no wonder that religious facilities are in constant need of maintenance. Parking lots are no exception. When faced with limited funds and know-how, it is especially important to consult the experts in parking lot management. 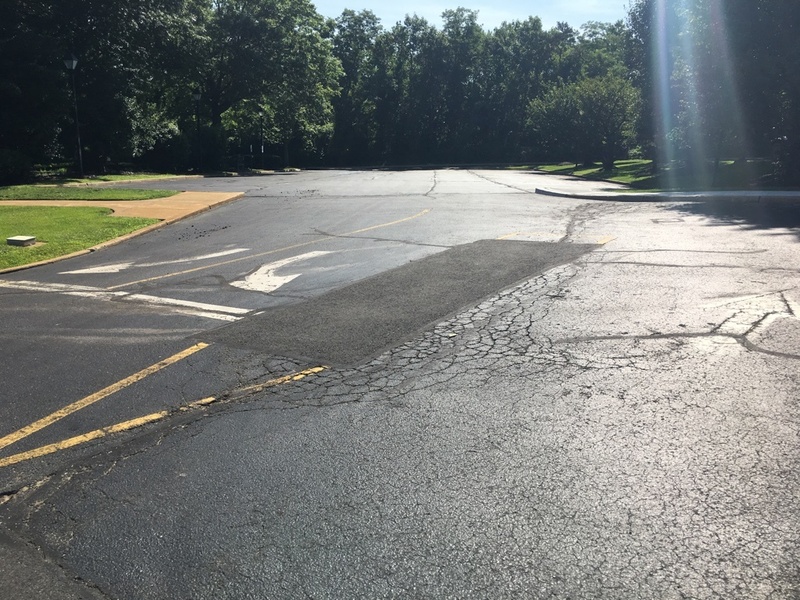 Fixasphalt.com performs on-site evaluations of parking areas and can educate facilities personnel on how to spot warning signs of pavement failure. A Pavement Management Plan (or PMP) can be developed to outline defects and schedule repairs, based on priority and budget. This, in turn, creates a safer environment in which to better serve communities and inspire congregations. We offer sawcut and removal and infrared asphalt restoration for potholes and alligator cracked areas. We offer complete concrete replacement and repairs to include sidewalks, curbs, ADA ramps, dumpster pads and patios. 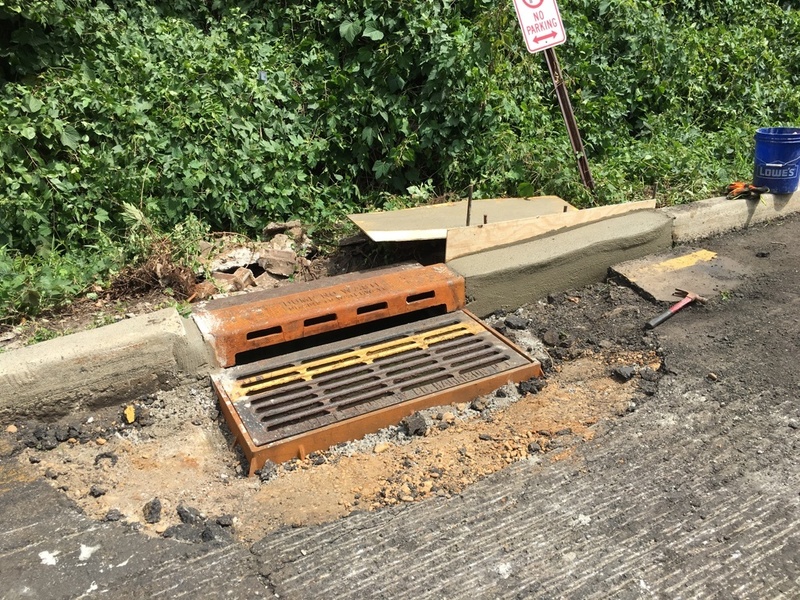 We can rebuild any type of catch basins which may have collpased or developed a sink hole. We can assist you with your ADA upgrades to include new traffic sign installation, line striping, handicap ramps, sidewalks and helping your patch of travel meet the new 2012 ADA Regulations. 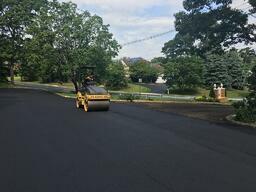 We offer a complete pavement maintenance service to include asphalt sealcoating, crack sealing and line striping. Would you like help setting up a budget or 1-10 year Pavement Management Plan? We have set up Pavement Management Plans (PMP) for some of the largest National Retailers, Fortune 500 Companies and REIT's (Real Estate Investment Trusts) to cover as many as 250 properties in their portfolio. 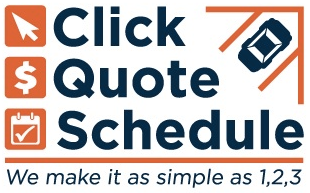 Let our 15+ year experience and track record work for you and your congregation.